You can call the crisis line for support, any time, day or night. The crisis support service members can help if you’re in crisis, feel suicidal, or just need to talk. 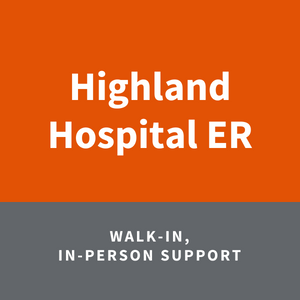 You can go to Highland Hospital ER for walk-in, in-person support. You can click the address link below to get driving directions from your location.